Toastmasters Speeches: Let's Get Personal-Sample Speech, "Traces of Talent"
Celeste asked me what she should take up in college. Now, many will be tempted to say “Go to where the money is” or “Go to where the opportunities are.” And with that, most would utter the hottest course nowadays and that is? Nursing! Would you agree? It is Nursing. Five or even 10 years ago, the hot courses were those related to IT, like Computer Science or Computer Engineering. In the book, as I explained to my daughter are the three traces of talent. These three are: Yearnings, Rapid Learning and Satisfaction. The first trace is Yearnings, and this is the simplest. It refers to something that you’d like to be. A role you’d like to see yourself do someday. 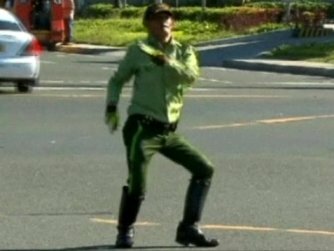 When I was in elementary school, there was a time that I wanted to be a dancing traffic policeman. Do you remember them? There were quite a few in the 80’s. They would direct traffic this way. (action) When I saw these traffic policemen, I said “That is so cool!” And I would mimic them, much to the amusement of my parents! So that’s the first trace, Yearnings. The second trace is Rapid Learning. How many times did you realize that some subjects were so easy for you to learn that you naturally excelled in these subjects? 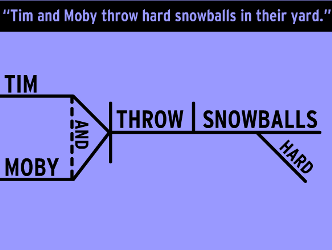 I remembered when I was in High School we had a topic in the English subject called Diagramming Sentences. Do you remember that? That’s where you analyze and dissect the structure, form and parts of a sentence. Well to those who forgot or pretend to forget, this is where you draw a cross, put the subject here, then the predicate there, an object noun, pronouns, dangling modifiers, prepositional phrases. And soon you have a drawing that looks like a mangled fish bone vomited by your cat. Funny, but it was only I who received perfect scores in all the quizzes on Diagramming Sentences. This really surprised me. And later I realized I easily learned programming languages when I became a programmer. That's the second trace of talent. The third and last trace is Satisfaction. These are the activities where you derive much satisfaction. I recounted to her an incident that I noticed 2 weeks ago. 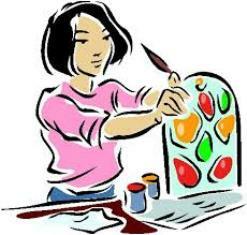 Two weeks ago, I saw Celeste laboring on a school project where she was cutting a design drawn on an illustration board. It was an intricate design that looked like a church’s glass window. She spent hours cutting the board with a cutter. The design was later covered with colored cellophane. It was beautiful. She was very happy and submitted the project. And then, a week later, I saw her working on the leftover illustration board. This time it had a star and rainbow design and it was pretty. Thinking that her previous “masterpiece” was rejected by the teacher, I asked her, “Celeste, I thought you were done with that project. Renz is my 5-year old son. And I was so surprised that she would spend 2 hours laboring on a nice project for a brother too young to care about it. See, that’s the thing how talents are manifested. You’re satisfied with the activity so much that you’d want to do it over and over again. And so, those are the 3 traces of talent that I explained last night for Celeste. And by the time I was done talking, I realized everybody else had finished their dinner and I was left with the still untouched plateful of rice in front of me. For if I would have gotten Celeste into thinking seriously what her true talents are, then it was all worth it. What about you? Do you know what your natural talents are?